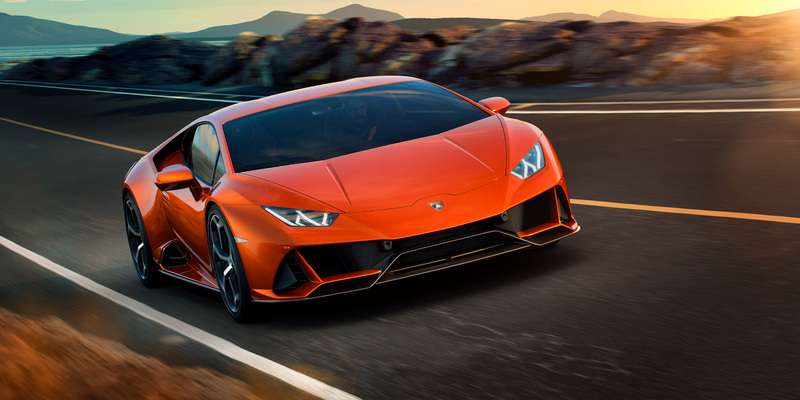 With the Huracán Evo, Lamborghini makes a play at updating the Huracán to reflect all of the brand’s developments since it replaced the Gallardo almost five years ago. Huracán fans will notice a number of subtle tweaks to the Evo’s exterior design, all implemented in the name of improved aerodynamics. New side air intakes are flanked by Evo-specific wheels and the raked roofline flows into a high mount exhaust and a redesigned rear deck still offering a view of that wild engine. New technology with the heart of a Performante. 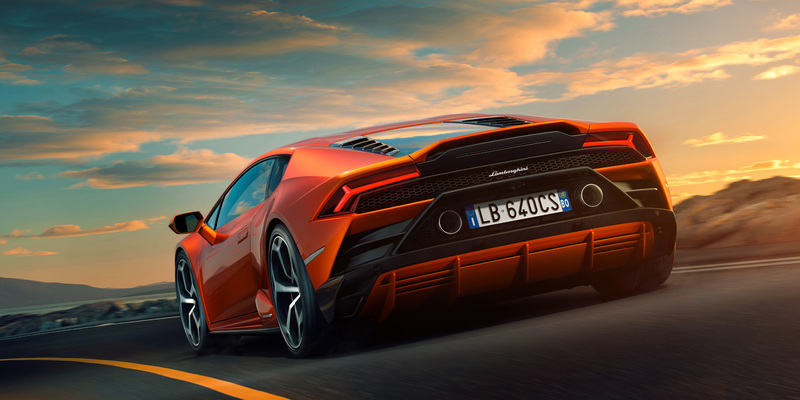 Earlier this week, Lamborghini announced the next iteration of their V10 supercar, the new Huracán Evo. 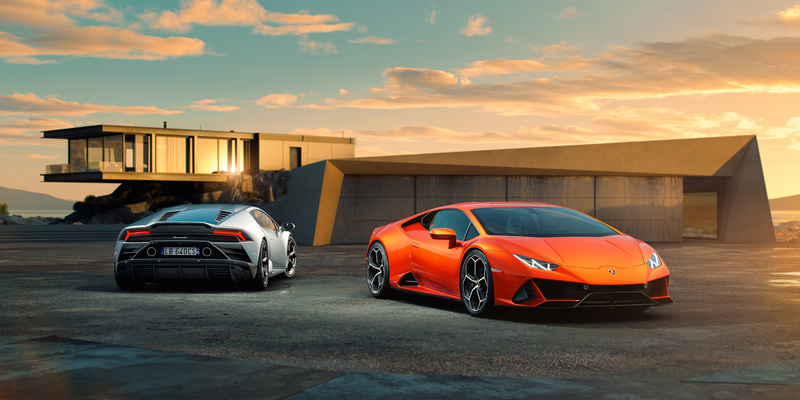 Boasting exclusive technology, an even higher performance engine, and updated dynamics, the Huracán Evo employs a variety of Lamborghini’s best features to improve both the performance and day-to-day use of the Huracán. While the remarkable Huracán Performante was launched in 2017, the Huracán was due for some sort of an update as the standard model has been on the market since 2014. 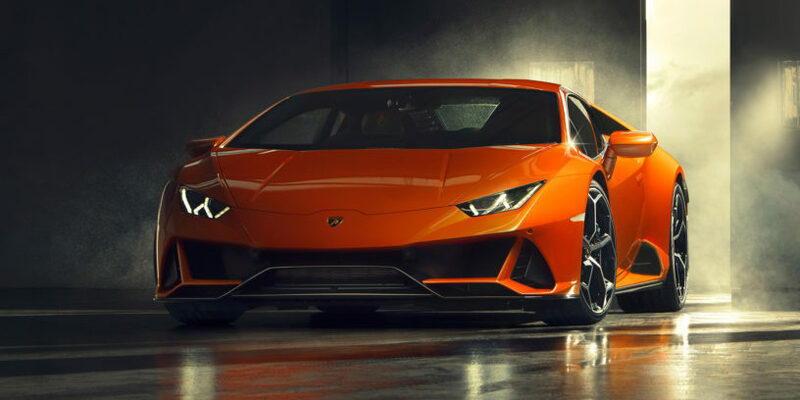 With the Huracán Evo, Lamborghini makes a play at updating the Huracán to reflect all of the brand’s developments since it replaced the Gallardo almost five years ago. The big news with the Evo spec is the inclusion of the raucous 5.2-litre naturally-aspirated V10 from the range-topping Huracán Performante, which I drove this past summer. The Performante is an undeniably impressive supercar and its entire character is derived from its fast-revving engine. Providing 640 horsepower and 443 lb-ft of torque, this track-ready powerplant is perfect for a Lamborghini and a welcome addition to another model in the lineup. Weighing only 1,422 kg, the Huracán Evo manages 0–100 km/h in 2.9 seconds on way to a top speed of more than 325 km/h. Along with a proper engine upgrade, the Huracán Evo also employs a new vehicle dynamics system called Lamborghini Dinamica Veicolo Integrata (LDVI). This system works alongside an all-wheel drive platform that now has four-wheel torque vectoring and rear-wheel steering for advanced agility at low speeds and better stability at high speeds. The LDVI is the next generation of Lamborghini’s dynamics controls, overseeing vehicle position, steering, and engine management to ensure the suspension and traction control are always operating for the conditions and the input from the driver. In each driving mode—strada, sport, and corsa—the character of the Huracán Evo becomes better suited for agile daily driving, spirited rides, or even improved track time, respectively. Huracán fans will notice a number of subtle tweaks to the Evo’s exterior design, all implemented in the name of improved aerodynamics. Updates to the Evo design include a new front fascia with an integrated splitter and wing. New side air intakes are flanked by Evo-specific wheels and the raked roofline flows into a high mount exhaust and a redesigned rear deck, still offering a view of that wild engine. The new Huracán Evo employs a variety of Lamborghini’s best features to improve both the performance and day-to-day use of the Huracán. Finally, Lamborghini has fitted the Huracán Evo with a new infotainment system based around an 8.4-inch touchscreen that offers full control of the car’s many settings and controls, as well as media integration with platforms like Apple CarPlay and more common features like navigation. The Huracán Performante has no such center infotainment screen, instead displaying a similar array of features within the driver’s digital gauge pack. By opting for a more conventional central screen experience, Lamborghini further asserts the intention for the Evo to be an approachable and easy-to-live-with supercar. With a starting price of $261,274 U.S. (Canadian pricing to be determined), Lamborghini is already taking orders with initial deliveries slated for early 2019. While a mid-cycle update of the Huracán is not surprising, Lamborghini’s move to include the Performante’s engine and a host of new drivetrain technology suggests that they believe the Huracán will continue to be a strong selling model within their small but decidedly dramatic lineup.